Android, the new mobile-phone software from Google, had a slow first year. But its expanding capabilities, rave reviews, and a catchy new ad campaign could vault it into iPhone territory. It's been a year since Google entered the smartphone war and manufacturers started shipping phones that use Android, the company's software for mobile gadgets. Chances are you don't own any of those phones. Until recently, Android—the software used to browse the Web, take pictures, and run applications—has only been featured on a handful of clunky devices for second-rate wireless networks like T-Mobile. One year after launch, there are an estimated 3 million Android units in the marketplace, according to Admob—an unimpressive sum when compared to the more than 20 million iPhone handsets Apple sold in roughly the same period. All of these ingredients complete the recipe for which Android adoption can indeed “explode” in 2010. But Android's second year looks much more promising. On Friday, Verizon Wireless began selling the Motorola Droid, the most drool-worthy Android phone to date. Verizon has blanketed the airwaves with advertisements that taunt the iPhone for lacking a physical keyboard and removable battery, and for its inability to run multiple applications simultaneously. "Everything iDon't, Droid Does," the ads promise. The Droid, for all of its strengths, is unlikely to single-handedly slow the iPhone juggernaut. But at least 18 devices are expected to run Android by the end of the year, and there's now chatter that Android phones could overtake the iPhone in market share by 2012. In short, your next cellphone may well come with Google's software pre-installed. "Android adoption is literally about to explode," Google CEO Eric Schmidt boasted last month, and he has cause to be optimistic: Cellphone manufacturers finally appear to have embraced Android. Motorola, once the reigning champ of the wireless market, is now betting on Android phones to fuel its comeback. Sanjay Jha, Motorola's chief executive, disclosed last week that the "vast majority" of the company's future phones will run Android, a shift in focus from other platforms, like Windows Mobile. And Motorola is being joined by several other well-known handset manufacturers, including Samsung, LG, and Sony Ericsson. The most impressive new entrant among these handsets is Motorola's $199 Droid, which hit Verizon's shelves on Friday. In no minor feat of industrial design, Motorola has managed to squeeze a spacious touchscreen, a slide-out keyboard and a removable battery into an enclosure that is just a millimeter or two thicker than the iPhone's, if a bit boxier. Walt Mossberg, The Wall Street Journal's technology columnist, says the Droid is not without flaws, but is "the best super-smart phone Verizon offers, the best Motorola phone I've tested and the best hardware so far to run Android." Such a formidable slate of devices has given rise to reasoned predictions that Android will eclipse the iPhone in the next two or three years. (That's to say nothing of the non-phone devices that will run Android, from netbooks to e-book readers like Barnes & Noble's Nook.) The technology research firm Gartner last month forecast that by 2012, Android smartphones will number almost 76 million, beating the iPhone's market share. All of these ingredients complete the recipe for which Android adoption can indeed "explode" in 2010. Whether that explosion is a supernova or a mere fireworks display remains to be seen, but in either case, consumers—and Google's competitors—will have to take notice. 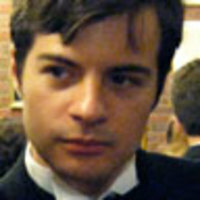 Nicholas Ciarelli is an assistant product manager at The Daily Beast.